sub.net uses external transformers for monitoring current. 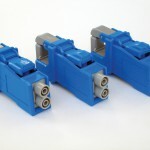 This allows flexibility in both the current ranges and the cable sizing. 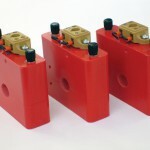 For substation use the CTs are connected round the 1A or 5A secondary outputs of protection or metering CTs. The full scale measurement can be set for load levels or fault levels. These are supplied with DIN rail mounts and a burden resistor is fitted across the sub.net input terminals. The primary conductor is passed through the core of the CT except the 1A type which has a wound primary. The range covers 1 – 100A. Toroidal CTs are the most accurate and most cost effective types. They are supplied with 3m twisted pair cables. Toroidal CTs can be supplied individually with DIN rail mounting brackets and are also available with 3 or more interposing CTs prewired on a DIN rail mounting tray. This CT interface module simplifies the input wiring and allows more flexibility in range of measurements available. The input screw terminals are rated at 50A and are fitted with a safety cover. The output connector is the same as the sub.net input connector and a 3m connecting cable is also supplied. 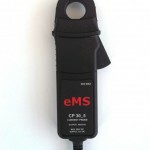 For fault level measurements the primary CT ratio & S/C level are required. This is a square block which is split in two. The two halves fit round a live primary conductor and are held together by two threaded rods. 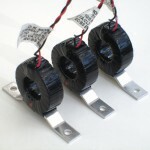 These also use a burden resistor and are suitable for larger primary currents up to 100A. Clamp CTs clip easily round a live primary conductor and have a voltage output so no burden resistor is required. 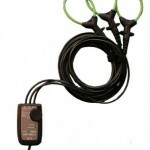 A range of primary currents are available from 1A to 2000A. These are supplied with a 3m twisted pair cable (CCTC). 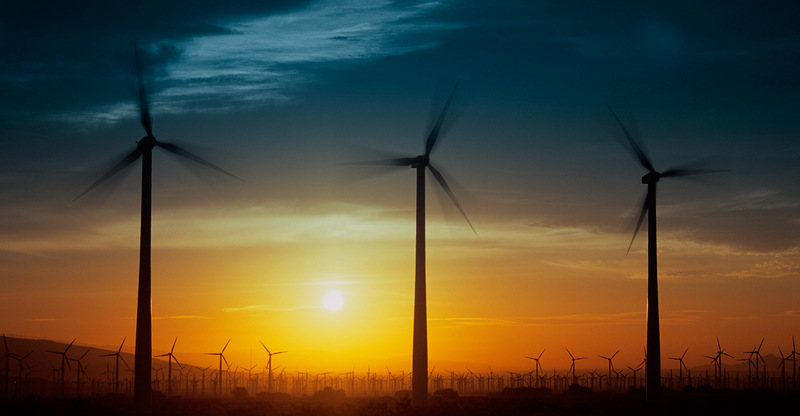 The full scale current can be up to 6000A. A range of maximum currents, probe lengths and diameters are available, please contact eMS for more information. The Hall effect probe is used for monitoring direct current which is normally from the station battery. The full scale is 20A and other ranges are available. This CT is clipped round the battery feeder, has a voltage output and requires a 12V supply which is provided with the device. A DIN rail mounting version is also available (HCT-D).